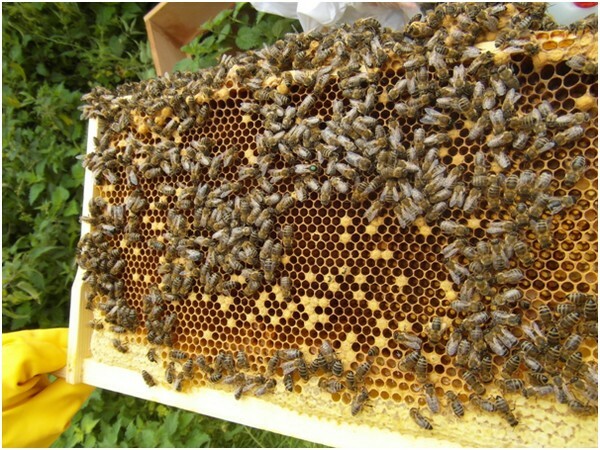 In 2007, Balloch Wood Community Project first proposed the idea of putting together a Honey Bee project. The idea behind such a project was that it would complement the ethos and work of the Balloch Wood Community Project: management of the woodland in order to preserve the natural resources and increase biodiversity. Balloch Wood is approximately 60 hectares in size and contains over 88 species of flowering plants, perfect for foraging honey bees. 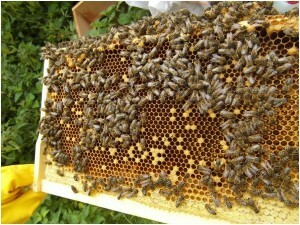 We have three colonies, each housed in their own hive and were sourced locally in Dumfries and Galloway. The hives are made from British grown cedar, which offers a significantly cheaper alternative and avoids the substantial environmental impact of shipping American timber to the UK. 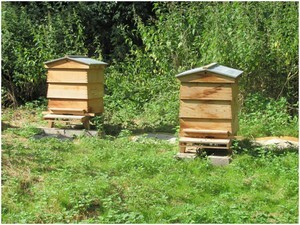 The hives consist of a base, two brood boxes, supers and a roof. Supers are added as and when the colony needs the space to expand. Initially, until the colonies were established and settled at the apiary site, all three colonies were fed a sugar syrup, a balanced liquid feed. Each of the brood boxes and supers contain ten frames and it is on these frames that the bees build their comb to store nectar, pollen, honey and rear brood. The colonies continue to thrive and are checked weekly. This is a community project and the more people involved, the better. 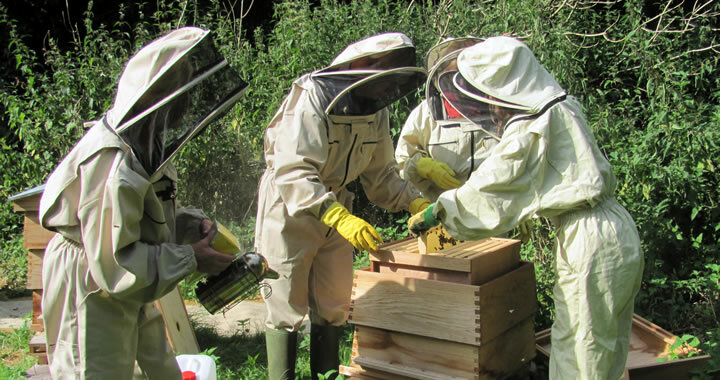 Beekeeping is a super activity to get involved in and the apiary is an asset to the community. The project was originally advertised in our local newsletter, the Ferry News, encouraging people to get on board. Ten local people attended an 8 week beekeeping course at the Barony Campus of Scotland’s Rural College. Of these ten, seven are still involved. The project will also help the European honey bee by alleviating the decline of British populations. Future plans include training to ensure all participants are skilled and competent beekeepers. We wish to expand the project to include education links with schools and youth groups promoting environmental awareness, honey bees and beekeeping. These will take the form of workshops and study visits to the apiary site where the young people will experience beekeeping firsthand. These interactive sessions will encourage young people to take an interest in the natural environment and care about the plight of our native species, including the European Honey Bee. In time, the honey will be sold, with the money going back into the project, contributing to its sustainability. If you’re interested in getting involved and want to learn about beekeeping, please get in touch.